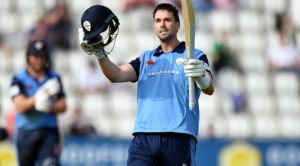 Tall, quick and eager to prove himself in England, Logan van Beek arrives at Derbyshire and is available for the whole of the 2019 season. The 28-year-old will be available for all formats throughout the summer in a first stint in the English county game which he hopes can propel him towards further international honours with the Black Caps. 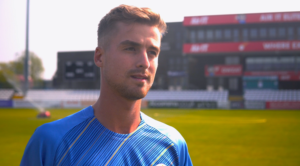 While he holds Dutch nationality, he will represent Derbyshire as an overseas to allow him to continue to play as local player for Wellington back home in New Zealand and to allow him to pursue his ambitions to play for the Black Caps. A determined character who is no stranger to international cricket, van Beek burst onto the scene at the 2014 ICC World Twenty20 with career-best figures of 3-9 as the Netherlands stunned England. Returning to his native New Zealand, the Christchurch-born quick has been knocking on the door of international selection in recent seasons, with his impressive performances for Canterbury earning him regular call-ups to the New Zealand A squad. 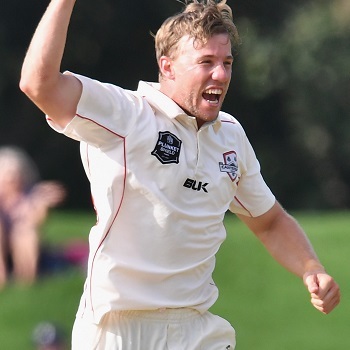 With first-class and List A averages of 30, van Beek has been a consistent performer of late and has taken a total of 217 wickets across 151 matches. Rightly known predominantly for his bowling, van Beek is also a powerful hitter and his best performances with both bat and ball came in the same game – a match-winning performance for Canterbury. His unbeaten 111, as part of a century tenth wicket stand and coupled with figures of 6-46, powered his side to victory in a contribution which typifies his attitude. 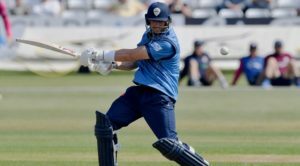 He now joins a Derbyshire pace attack which includes fellow internationals Hardus Viljoen and Ravi Rampaul, as well as the experience of Tony Palladino and the youth of the likes of James Taylor, Alfie Gleadall and Sam Conners.